If you own a business and don't have a website for it, what are you waiting for? Websites are a relatively inexpensive form of marketing that can expand your clientele and give you control over your online presence. Not only that, but they can be a valuable form of communication between you and your customers. 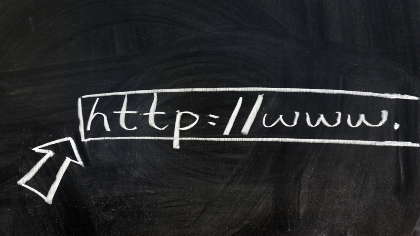 People research and shop online; if you don't have a website, consumers just won't find you. Change is hard. It’s why many small business owners resist tackling new business building strategies, especially digital ones. However, ignoring these newer methods of reaching customers is like businesses 100 years ago not installing a phone because they don’t want to learn how to use it. If you want to build a business, you must have a website. Nearly 250 million searches for products and businesses are performed a day on Google alone. If you’re not there, consumers won’t find you. If that isn’t reason enough, here are some more arguments for why your business needs a website. When was the last time you used your Yellow Pages phone book? The reality is that the internet has replaced the phone book for finding businesses and information. They can’t learn about and buy from you if you’re not there. As already mentioned, consumers are looking for products, services and information online, which means they’re finding your competition and buying from them instead of you. Consumers are savvier than ever when spending their money. They’re not just looking for great price and convenience but also reviews, tips and information. They’re using the internet to learn about your business. A website is available to the world audience 24/7. But even if your target market is located within a specific country or even city, a website can help you find clients or customers you wouldn’t otherwise find with traditional marketing. If your target market is spread throughout the country or the world, the Internet is the only place you can reach all of them. Many home business owners throw up a website because they know they need one, but don’t take time to consider how their site can work for them. Having a website for the sake of being online is worthless. It’s like having a storefront, but nothing else. A website can deliver information about your products and services and sell them, even while you sleep. It can answer questions and provide tutorials to help your customers get the most out of your products and services. When I complain about my phone or cable service on Twitter, the company always Tweets me back, making me feel like they care about my experience with their company. I’m not alone in this practice. Now more than ever, consumers want to be heard and have personal contact with businesses they buy from. Websites offer a way to create a community around your products and services, get feedback, offer support, provide updates and create evangelists who’ll share your information with their networks. Even if you don’t have a website, prospective customers are talking about you online. They’re using social media or posting reviews in online forums. Having a website gives you more control and easier access into the conversation. If you’re getting negative comments, you can respond with solutions and customer support. If they’re saying nice things, you can thank them. Compared to other forms of marketing, such as advertising and Yellow Pages listings, websites are inexpensive. And when you consider that the internet is the first place your market goes for information, you realize that having a website is the easiest way to get found. In today’s world, not having a website is business suicide. But beyond just having a web presence, a website creates opportunities to grow your business and improve your brand.